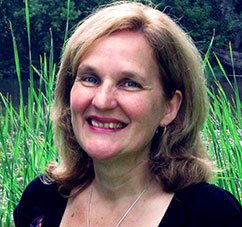 Today I’m so pleased to welcome my friend Julie Desmarais to the Sister Leadership blog. She is a gifted Reiki Master Teacher Trainer and Holographic Energy Master, and the perfect expert to talk about chakras for our Spiritual Intelligence series. Julie has been working in holistic health for thirty years, and began creating/leading her own programs in Holographic Energy Work in 1996. Since then her business has exploded. Her passion is to help her clients lead more of their authentic lives and be their own healers. So what are chakras, exactly? Sister Leadership defines them as psycho-spiritual centres in our energy channel and characteristic of Eastern medicine practiced in India and China for 10,000 years. An energy channel is called a nadi in yogic terms and includes 72,000 channels in our bodies but only three that are considered main ones. In Chinese medicine, there are many channels of energy, as well. Though the number differs, the concept of channels remains the same. We have 1,000 chakras in the subtle body and seven that are considered to be primary. Read over the list below, and see if any connect with you. Even if you’re sceptical, we still invite you to give it a try. Root chakra relates to security, stability, survival and confidence. Sacral chakra relates to primitive emotions, sexuality, grit and creativity. Solar plexus chakra relates to complex emotions, energy and self-esteem. Heart chakra relates to compassion, love and empathy. Throat chakra relates to communication, growth, surrender, trust and openness. Third eye chakra relates to logical judgment, intuition and other heightened levels of awareness. Crown chakra relates to our connection with the higher power, peace and openness to blessing. Can you tell us a little about what you do, and how that connects you to your higher self? What happens when you are working with clients or a person who feels their energy is stuck. What do you see happen as a result of stuck energy? “The crown chakra at the top of our head is where Source Energy comes through, whether we call it Reiki, God, love, prana, the Holy Spirit, the Creator, that energy comes through and down this tube [down the spine], which is called the vertical power current, and it connects all the chakras. “So all of the chakras can get really blocked up. For example, if we’re really stressed out and feel low self-esteem, the self-esteem chakra, also known as the solar plexus or the stomach chakra, can get really stressed and affect our ability to digest the challenges happening in our life, which can ultimately lead to stomach and digestive problems. Sister Leadership would like to thank Julie for sharing her experience around the chakras. Clearly there’s so much more to be learned, and with over thirty years of experience, I suspect we could write a book with all that Julie has learnt and mastered. (The same goes for so many of the incredible women we’ve featured here on Sister Leadership.) Along with Julie’s video that is linked through the image above, I have also found this resource from Caroline Myss on chakras and the idea of ‘positive interest’. Do you recognize any connections with these chakras and their associated emotions? Have you ever experienced Reiki? What was that like for you? How do you manage your energy? How do you know when you’re blocked? Comments in the blog are so exciting to receive. If you enjoyed this post, I’d love to hear your own perspective on this flow of energy, too. p.s. The Newsletter is still in the works! Sign up here to stay in the loop of Sister Leadership stories, events, exclusive goodies, and community notices. We’re here to support one another, and we’re glad to share your good news too. Join us at the Newsletter. From the pov of a person who was quite skeptical about the power of energy work like Reiki, I have to say that I was impressed by the outcome after just a few treatments around the grieving of my father. I advocate that we not use Reiki as a last resort but as a primary alternative to wellness.